We’ve innovated to give you better access to passive candidates and to invite more applicants to your vacancies. 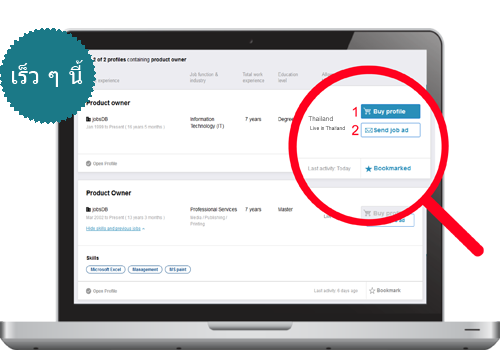 If you have existing candidate search credits, each credit will be converted to 50 coins which you can use to buy profiles or send jobs. Contact your Account Manager or Customer Services Representative to pre-arrange a guided tour upon launch.